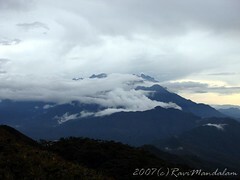 Basically Sabah is home to Malaysia's three highest mountains and Mount Tambuyukon is ranked third among them. At 2579 meters (8462 feet) it is the third highest mountain after Mount Kinabalu and Mount Trusmadi and is located in Ranau district. The beautiful mountains in Borneo are part of the Kinabalu Park and managed by Sabah Parks Board, the park authority which manages the state's national parks, nature and wildlife conservation areas. The Mount Tambuyukon is located at the centre of Kinabalu Park and home for a wide range of unique flora and fauna. 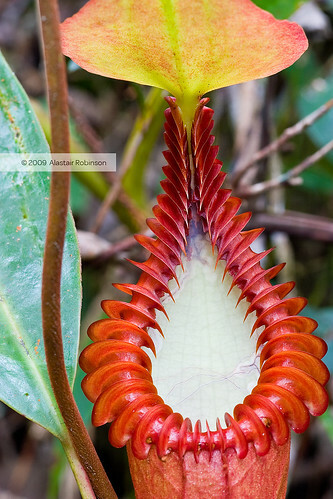 This route is the most ideal part of Kinabalu National Park to see all the endemic species of Nepenthes. Even though this mountain is located separately but being adjacent to the majestic Mount Kinabalu makes this place an interesting and exclusive research site. One of the most interesting things about this mountain which is worth mentioning here is the Scientific expedition organized by Sabah Parks in the year 2009 in cooperation with University Malaysia Sabah and National University Malaysia (UKM) which entitled this area as interesting and exclusive research site covering research fields include variety aspects of biology, photochemistry, geology, hydrology, socio economy and eco-tourism. The ascent track cuts across various types of rocks and soil including the ultra-basic, giving a vast variety of biodiversity that could be discovered along the way. Other than the above all the endemic Nepenthes to Kinabalu Park named Nepenthes Rajah, Nepenthes Burbidgeae, Nepenthes Kinabaluensis and Nepenthes Villosa are also found along the track after the Musang Camp at KM10. Not only is that over here you can also see other species such as Nepenthes Tentaculata, Nepenthes Lowii, Nepenthes Edwardsiana (Picture on the left) and Nepenthes Fusca. Another interesting thing about Mount Tambuyukon is that it is a twin peaked mountain which from a distance looks like the double hump of a buffalo immersed in murky waters, as it lies between the boundaries of Kinabalu Park. The mountain climbers are required to take permission from Sabah Parks to ascend this mountain.The route for climbing Mount Tambuyukon, offers an interesting experience and challenge since the route crosses large altitude range. But due to its remote location and with limited accessibility this mountain is less climbed in comparison to the other surrounding mountains. Actually this area is yet to be explored extensively. If you are interested in making a climb up this beauty, here are the rates for your climbing guide. The Mount Tambuyukon is situated on the Northern part of Sabah which around 1.3 hours of drive from Substation Poring on the east of Kinabalu National Park Hq. It is located at the centre of Kinabalu National Park and the summit is the boundary meeting point of three districts namely Kota Belud, Ranau and Kota Marudu. Ready to have the greatest adventure Borneo ever, yet? If you have already experienced it, tell us about it in the form below, or leave us a comment using your Facebook page, at the very bottom of this page! Look for 'Nepenthes' through Amazon.com. You'll find a collection of exotic Nephentes available for purchase as well as guide books on how to grow it. Tell Us about your Mount Tambuyukon Experience! Been to Mount Tambuyukon and love it? Had an unforgettable experience while you were there? Here is your place to share it - with other fellow travelers!